No matter what job you may have, stress will always be present in some shape or form. It just comes with the territory. However, emotional distress and/or anxiety is a whole other breed of stress that can lead to legal action. Seeking compensation for such conditions can prove to be extremely challenging. Each state has its own stipulations regarding emotional distress cases but for all intents and purposes, emotional distress is typically measured using objective factors as well as physical symptoms such as weight gain/loss, sleep patterns, tremors, or sensitivity to noises. Negligently – where you witness the injury or death of a close family member that was caused by someone's negligence. Intentionally – an terrible act meant to cause distress to you (the victim). There is no hard-and-fast guideline that a court uses to deem behavior extreme or outrageous, however, it must be beyond human decency, shock the conscience, and not be mere petty insults. There must also be some physical manifestation of the emotional injury. This includes proof of medication, hospitalization or other treatments. When a person suffers emotional distress as a result of an employer or work environment, in most states workers' compensation is available to them if they choose not to sue. We here at Parry & Pfau suggest you explore all other options before resorting to a personal injury lawsuit as they can be time-consuming and costly. Seeking compensation for emtional can prove to be extremely challenging. 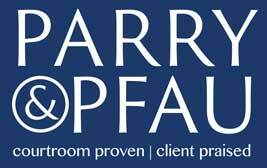 If you think you are the victim of emotional distress as a result of your employer or boss, call our experienced Las Vegas legal team at Parry & Pfau. We offer free consultations and can help you determine whether you have a good case or not.